Shown with an upgraded Heart Lobster claw extension clasp and an add-on Beaded Heart Charm. Light Green Cat's Eye Beads shown. Dark Blue, Light BLue, Dark Green, Light Green, Dark Orange, Light Orange, Yellow, Lavender, Violet, White, Pink, Dark Grey, Light Grey. 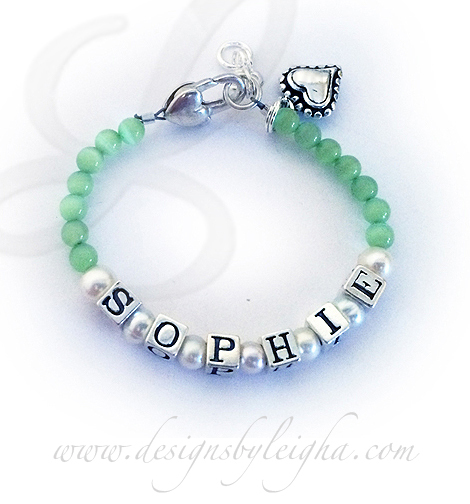 This SOHPIE bracelet is shown with my light green Cat's Eye Beads and they upgraded the clasp to a Heart Lobster clasp. An extension comes standard on this design. They also added a Beaded Heart charm. 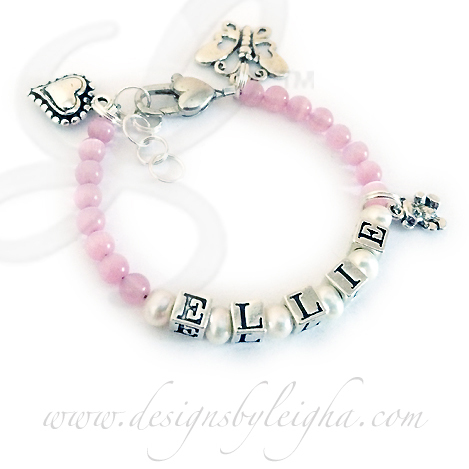 This Ellie bracelet is shown with my pink Cat's Eye Beads and they upgraded the clasp to a Heart Lobster clasp. An extension comes standard on this design. They also added a Beaded Heart charm, Butterfly charm and a Tiny Teddy Bear charm.